Playing with Electrons to Make Stories: Elysium! No, not the movie. The place in Circle City! Elysium! No, not the movie. The place in Circle City! So, I still need to do the stat for the security forces, Virgil, and the forest managers. But, here is the fluff for the place itself! Manager: Virgil The Recluse – Virgil lives in a penthouse at the top of the 'north-most' tower, taking up the an entire floor. His face is seen rarely, while his influence is constant. Those that have seen Virgil describe him as an over two-meter tall elderly man with long hair and matted beard, his body thin to the point of being malnourished. His employees are legion, occupying positions in every level of the four towers, each willing to fulfill Virgil's every whim. His every action is focused to gaining more control over the people Elysium. Though he is a tyrant, his laws and actions move toward the betterment of the inhabitants of the wilds and towers. The aura of the circle does much to ensure the smooth operation of the circle, allowing him to have 'problems' disposed of quietly. He can be dealt with, most often through intermediaries, if a deal can help him in his endless pursuit of control. Description: Twilit parkland of rolling grassland and forests of prismatic trees fill the majority of this circle. 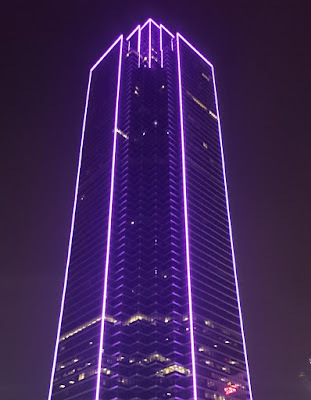 Four towers stretch towards the sky, each situated at a cardinal direction. Octagonal in shape, their smooth, silvered glass sides flow two-thousand meters into the sky. 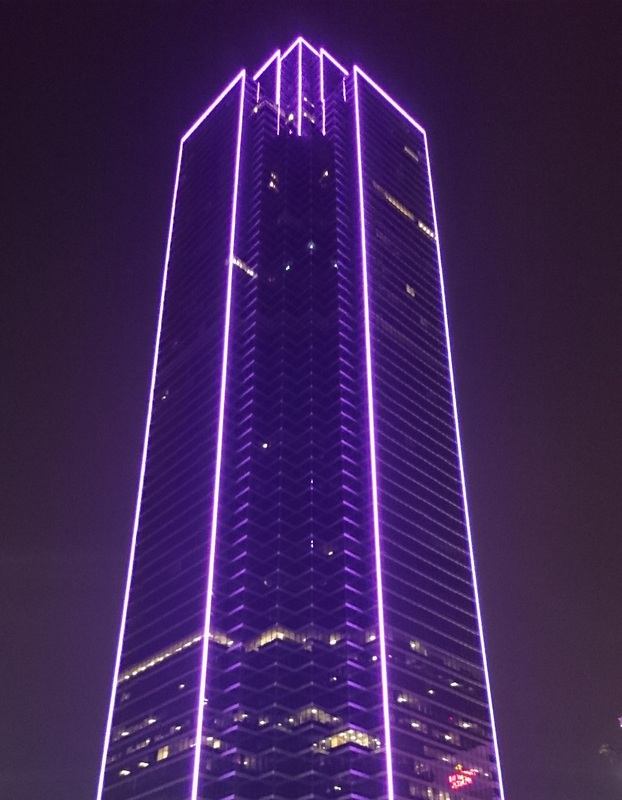 Edges limned with rainbow hued neon, the top of each side bearing a hologram of the tower's namesake. The towers are arcologies, containing in their entirety the housing, commercial, and industrial districts of Elysium. These towers are the best Circle City has to offer in the way of comfort and safety. The culture here is far from perfect, as the mental frailties in all sentient species still exist. Willful ignorance, purposeless hate, and unquenchable greed still hold sway over the minds of the residents, but these feelings are greatly eased by the aura of the borough. Outside of the towers is the parkland, a rolling expanse of manicured grass fields and forests of rainbow foliage. Arrayed at perfect intervals around the circle, each field or forest standing on the opposite side from the others. The fields are filled with creatures both mundane and fantastical, even embodied concepts reside among the grasses, ideas barely held in check by physicality. All the creatures of this place are re imagined in holograms and chrome, perfect and artificial. Pavilions can be seen in regular intervals, architectural recreations of Earth's past done up in glass, neon, and sharp angles. Within the forests are greater creatures of artistry and craftsmanship. Each forest is managed by a being crafted to meet impossible standards, its mind as complex, or even more so, as any natural sentient. 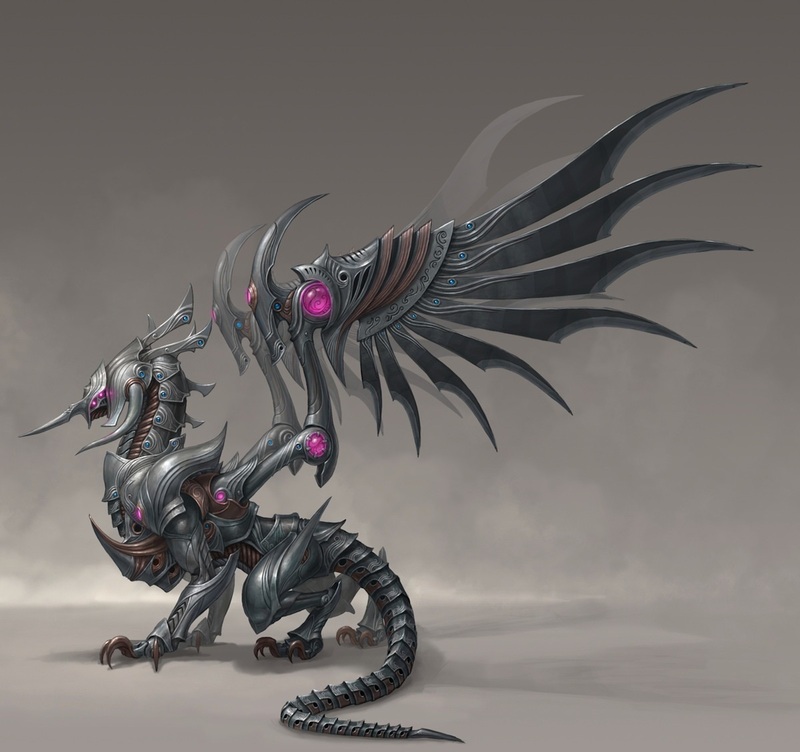 Powerful and knowledgeable about many secrets of the city and the galaxy, they can be convinced to give aid for a price. While peaceful, the managers of these forests can be moved to extreme acts of violence if respect they demand is not given. The deep-rail stations in the wilds stand in stark contrast to the fantastical forms that surround them. The gray, concrete cubes easily spotted among the myriad of colors and natural shapes. They hold the same positions as they do in any other circle. The stations in the four towers are simple stairwells leading down to subway platforms. Morning: In the wilds, the artificial birds begin to sing as the nocturnal animals return to their nests and burrows. Though true day doesn't exist in Circle City, the behavior of the cybernetic creatures gives the mind the impression of night's end. In the towers people move up and down the mirrored and neon hallways, traveling to various levels on their way to work. Mid-Day: The activity level of the outside is at its peak, artificial animals going about their routines of living, breeding, and dying. Within the towers, industry has reached full tilt, pumping out the products bought and consumed on all the other levels. Night: The daytime animals flee to their nests and burrows, hiding from the predators of the night. Sounds of the fields and forest change as the silicon crickets take up their starlit chorus. Within the towers, people make their ways home from business and industry, some making their way toward centers of nightlife. Bars and clubs run the gamut of aluminum-lined simplicity to hologram laden extravagance. All kinds of entertainment and pleasure can be had for cash or credit, though they would be labeled 'tame' by the more jaded connoisseurs from other circles. Ganesha, whose compassion knows no bounds. 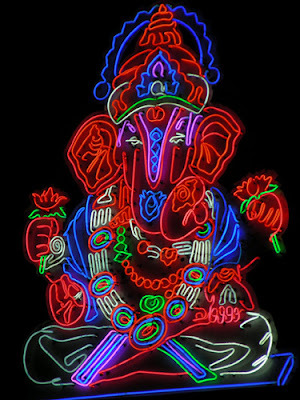 Ganesha – Hindu god/deva, remover of obstacles, patron of the arts and sciences, and divine exemplar of wisdom and intelligence. Prometheus – Greek god who brought the knowledge of, and skill to create, fire to humanity at the cost of endless torture by the other gods. Fukurokuju – Shinto god of wisdom and longevity, and one of the Seven Lucky Gods of the Shinto pantheon. Nabu – Babylonian god of wisdom and writing, son of Marduk and Sarpanitum. Kvasir – A Norse traveling spirit who was a teacher and spreader of knowledge. He was created when the Aesir and Vanir mixed their saliva together. Odin – Chief of the Norse deities, he hung himself from a tree for nine days and nights to gain all the wisdom contained within the world. Omoikane – Shinto deity of wisdom and intelligence. He is also a deity of good counsel able to hold multiple thoughts in his head at once, or combine the thoughts of multiple people to achieve a particular goal. Thoth – Egyptian deity of arbitration, arts of magic, the physical sciences, and judgment of the dead. Fafnir, he's a big robot dragon who loves money. Fafnir – A dragon of titanic size who is obsessed with material wealth. Arachne – Half-woman, half-spider, she is obsessed with: weaving, clothing, tapestries, textiles, and anything to do with thread or rope. Reynard – An anthropomorphic fox who is obsessed with music, humor, and practical jokes. Baku - A chimera with an elephant’s trunk, rhinoceros eyes, an ox tail, and tiger paws. Baku is obsessed with art inspired by, or inspires, dreams and the imagination. Questing Beast / Glatisant – A creature that has the head and neck of a snake, the body of a leopard, the haunches of a lion, and the feet of a hart. It is obsessed with 'quests', which is really just a way of saying it likes to send people off to do things for it. Sasquatch / Harold – A two and a half meter tall humanoid whose features combine that of humans and simians and is completely covered with hair. Harold is obsessed with: obscure movies, cheap beer, obscure micro-brews, poorly edited and recorded music, irony, out of style clothing, and an actor from ancient Earth named John Lithgow. The Aura: One of the greatest forms of control Virgil has, is the aura's ability to convince people not to leave Elysium. Upon deciding to leave Elysium, each character must make a save in order to bring themselves to leave the peaceful place. Care must be taken when making plans to leave, Virgil becomes displeased when attempt to leave and will use his security force to keep people from doing so. When making plans to leave in private, there is a 1 in 6 chance Virgil's security force will attempt to stop the characters. If plans are made in public, there is a 3 in 6 chance the security force will attempt to stop the characters. As to why Virgil doesn't block off the deep-rail stations, or why his security force doesn't follow people down into the deep-rail stations, that information remains secret. Those that fail their roll (or those who have yet to make a save due to negative score bonuses) must be physically removed from the circle, usually while they are kicking and screaming, attracting security forces. Standard mechanics still apply to avoiding the aura's influence on character behavior. A separate roll is required to leave. Machinations of the Space Princess: A character may make a number of saves each day to bring themselves to leave Elysium based upon their Wisdom score bonus. Every character may make 1 save per day plus their Wisdom score bonus, an hour must pass before a save may made again. Negative bonuses mean that multiple days must pass before a save can be made. A Will save is required in order to leave Elysium. -1: 2 Days must pass before a save can be made. -2: 3 Days must pass before a save can be made. -3: 4 Days must pass before a save can be made. -4: 5 Days must pass before a save can be made. Alpha Blue: A character may make a number of saves to bring themselves to leave Elysium each day equal to their level. Each save must be made at least an hour apart, if the character is greater than level 1. The results of a save determine level of success and other events effecting a character's will to leave. 6: Character not only overcomes the influence of the aura, but is able to coax another character through the influence as well. Choose another character, they too are now able to fight off the influence of the aura. 5 – 4: Character overcomes the influence of the aura and can now bring themselves to leave. 3 – 2: Character fails to overcome the influence, but may make another roll in an hour if they are greater than level 1. 1: Character cannot bring themselves to leave Elysium, and cannot make any further saves for the rest of the day. 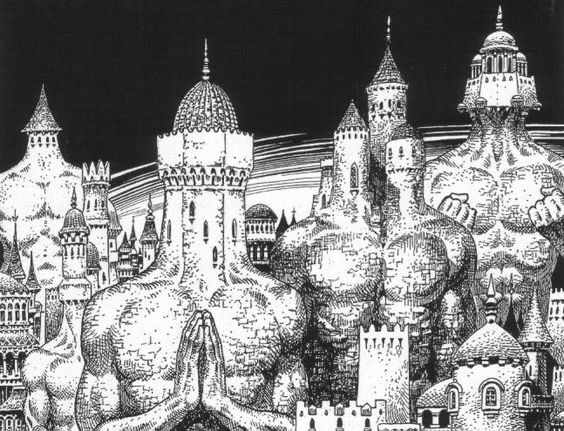 OSR: A character may make a number of saves each day to bring themselves to leave Elysium based upon their Wisdom score bonus. Every character may make 1 save per day plus their Wisdom score bonus, an hour must pass before a save may made again. Negative bonuses mean that multiple days must pass before a save can be made. A save versus Device is required in order to leave Elysium. Continuing a work in progress.